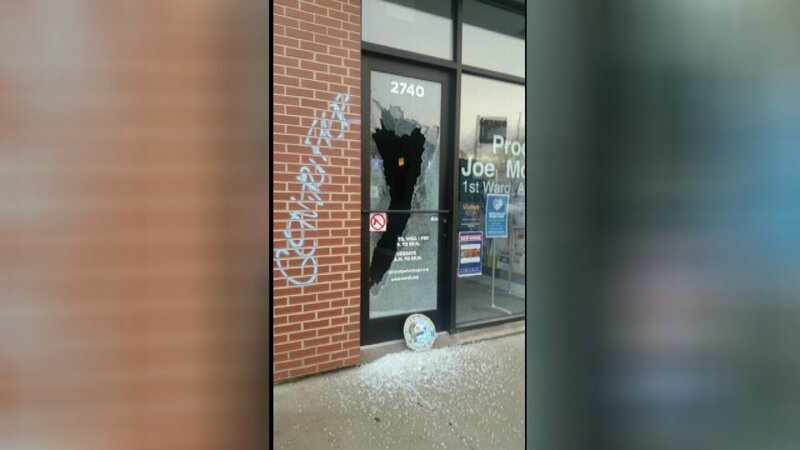 CHICAGO (WLS) -- Vandals damaged the office of Ward 1 alderman Proco Joe Moreno and spray-painted the word "gentrifier" next to the door. The damage was apparently done early Monday morning. Moreno's ward includes parts of several neighborhoods including Humboldt Park and Logan Square, which have both been gentrified in recent years. Moreno said he's done a lot to bring affordable housing to the ward. "And the diversity of the 1st Ward is its strength. And I'm not going to be deterred by some cowards who throw a brick through a window overnight," he said. Chicago police are now checking surveillance video to see if it can lead them to the vandals.